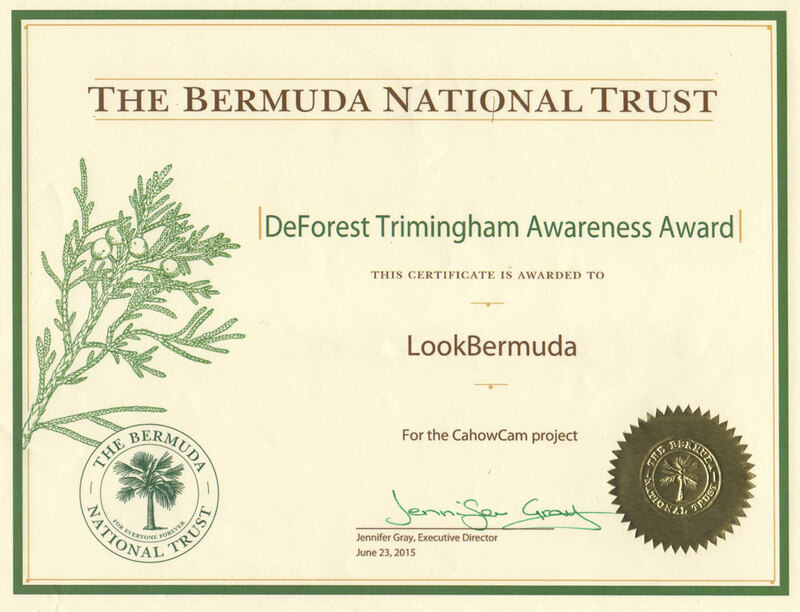 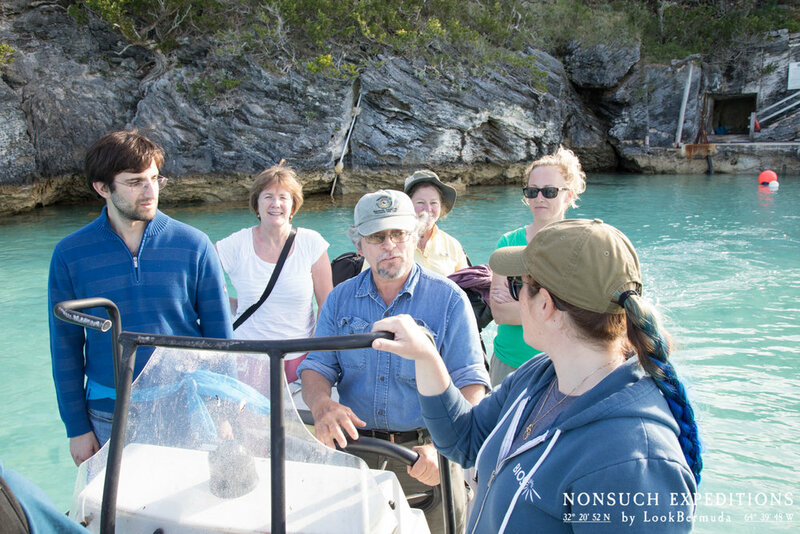 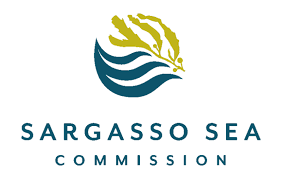 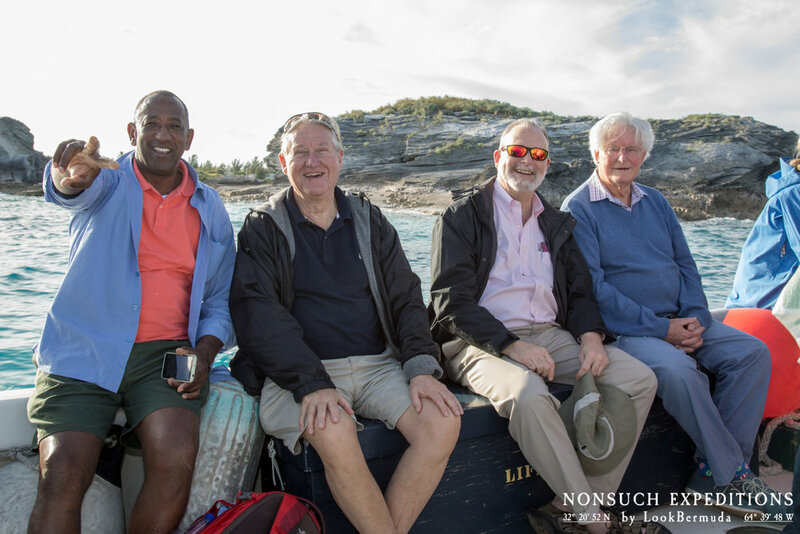 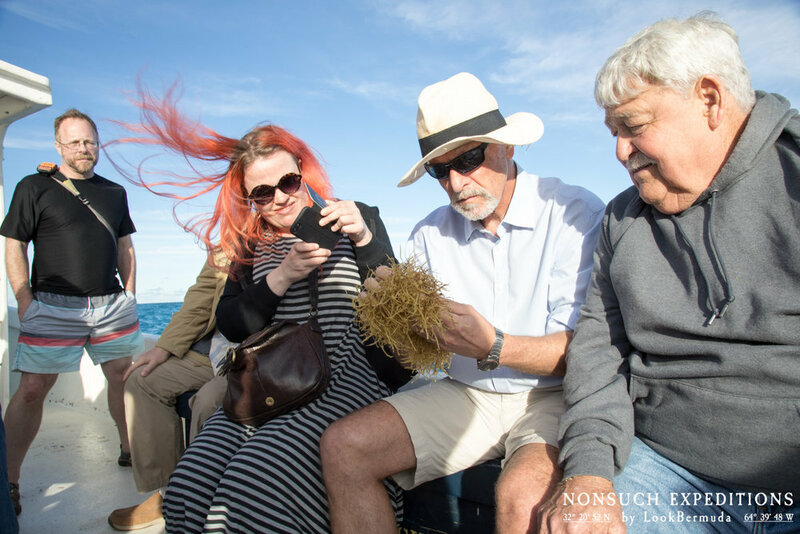 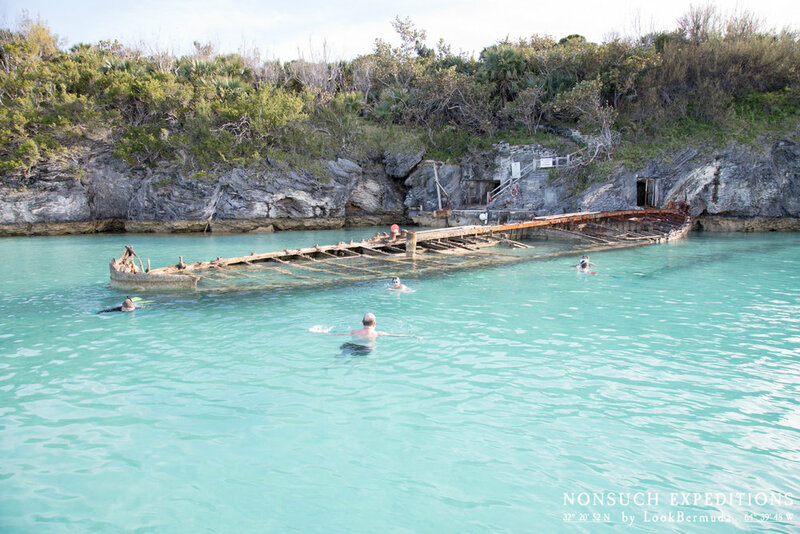 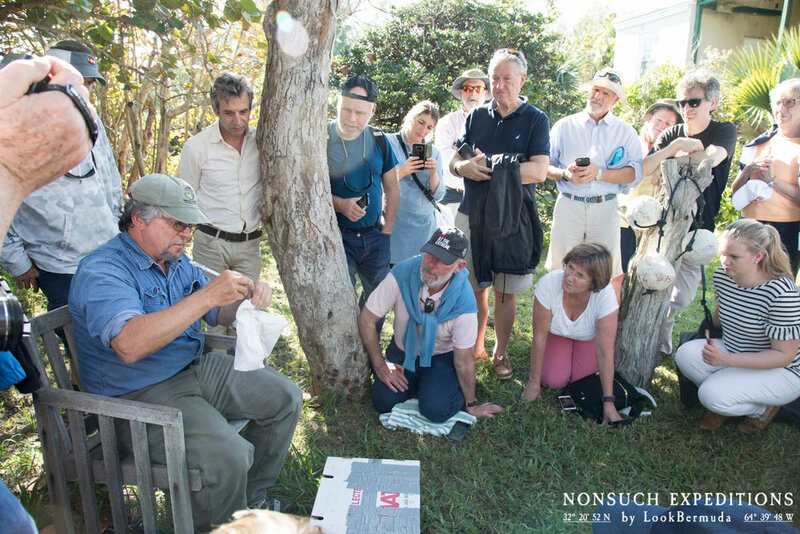 Sargasso Sea Commission visits Nonsuch Island. 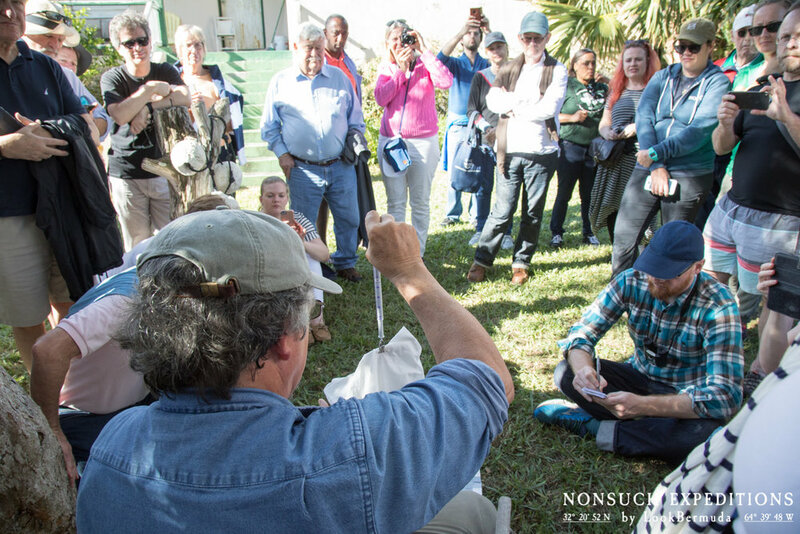 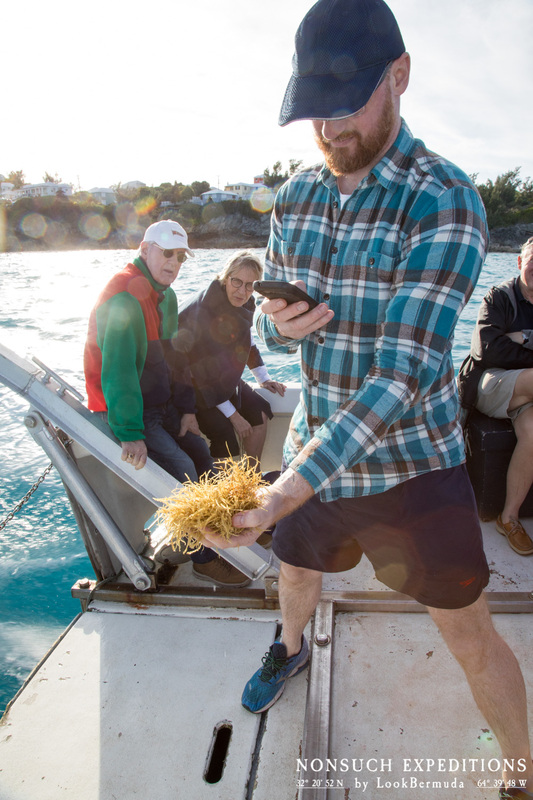 On the final day of the Next Steps for Strengthening Stewardship of the Sargasso Sea workshop held at the Bermuda Institute of Ocean Sciences, thirty of the participants, including representatives from the Sargasso Sea Commission’s Signatories, Commissioners, and partners had the opportunity to take part in an excursion to Nonsuch Island with Nonsuch Expeditions. 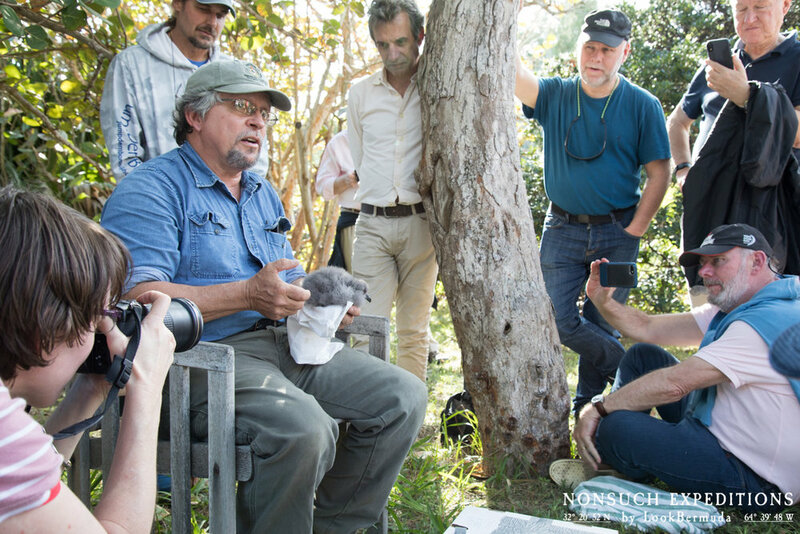 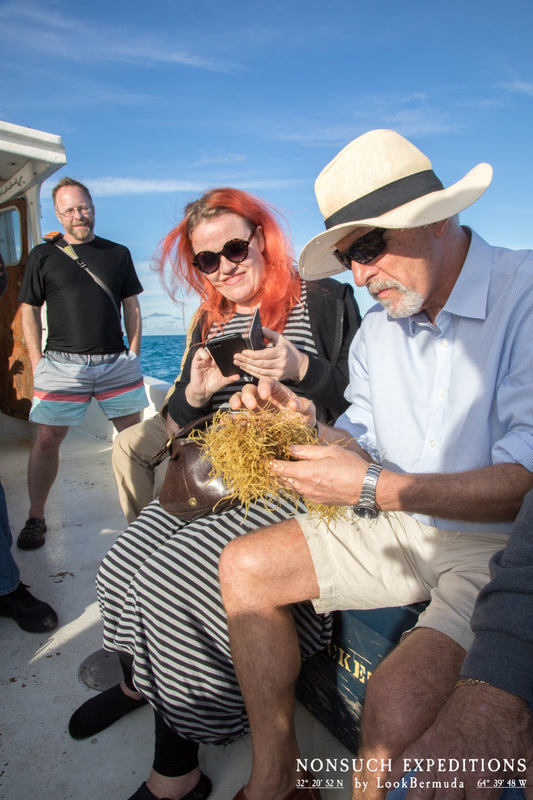 These participants had the rare opportunity to observe a scheduled nest check for two of the new Cahow chicks, as well as observe some of the species living in Sargassum.